Bloomsbury USA Childrens, 9781619632172, 80pp. 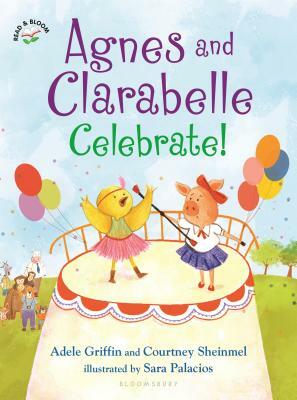 Agnes the pig and Clarabelle the chicken are best friends who love to celebrate holidays! They wear flower crowns and dance around the Maypole, perform in the Fourth of July parade, make the spookiest Halloween costumes, and count down the New Year in style. Three . . . two . . . one . . . fun! For Agnes and Clarabelle, everything is better when they're together!